With Halloween just days away, I’ve been daydreaming about candy and all the delicious desserts that it brings around. While I may be a nutrition student, I’m a huge proponent of the occasional indulgence (and I love marshmallows), so here are some of my Halloween favorites. Since roasting marshmallows in the dorm room may not fly, try these delicious roasted marshmallow topped cookies that may even put s’mores to shame. Bake the cookies according to the directions on the package. 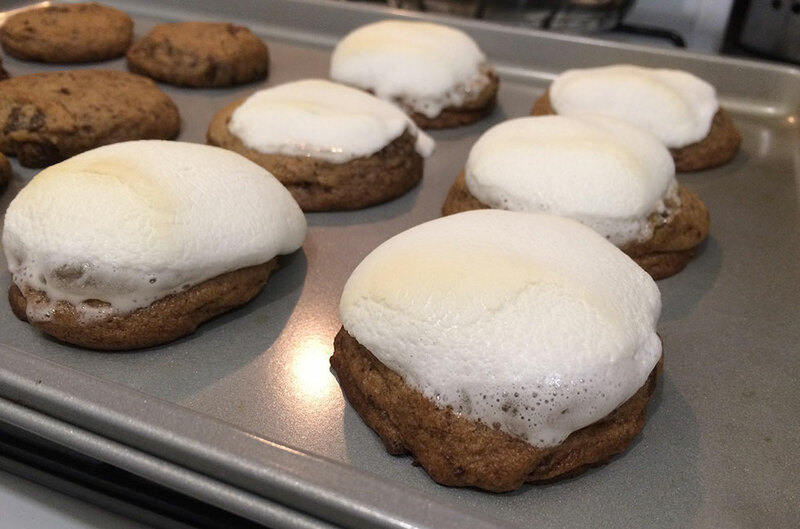 About two minutes before they’re ready, pull them out of the oven and gently press one large marshmallow into each cookie. Put the cookies back in the oven for another two minutes until the marshmallows are lightly browned. Remember, if you keep them in the oven for too long, you’ll have a sticky, marshmallow-y mess. I decorated mine with Halloween cupcake toppers I bought at the store, but feel free to add a drizzle of melted chocolate chips and some Halloween sprinkles once the cookies cool. 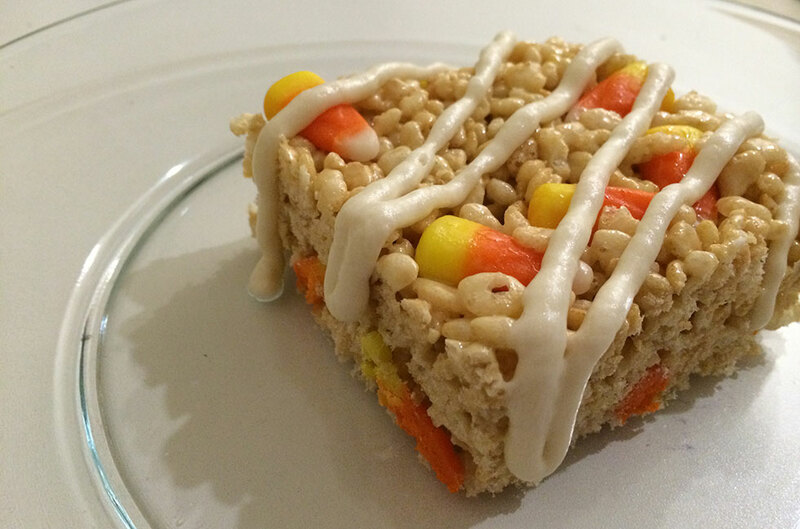 It’s hard to beat homemade Rice Krispie treats, but the addition of sweet candy corn takes these to a whole new level. Prepare the Rice Krispie treats according to the directions, which can be found on the box. Once you mix the melted marshmallows with the cereal, toss in your desired amount of candy corn. Using a greased spatula, press the mixture into a 9 1/2 x 11 cake pan. Once cool, cut into squares. For decoration, drizzle icing, add sprinkles, candy corn and whatever else you feel like embellishing with. 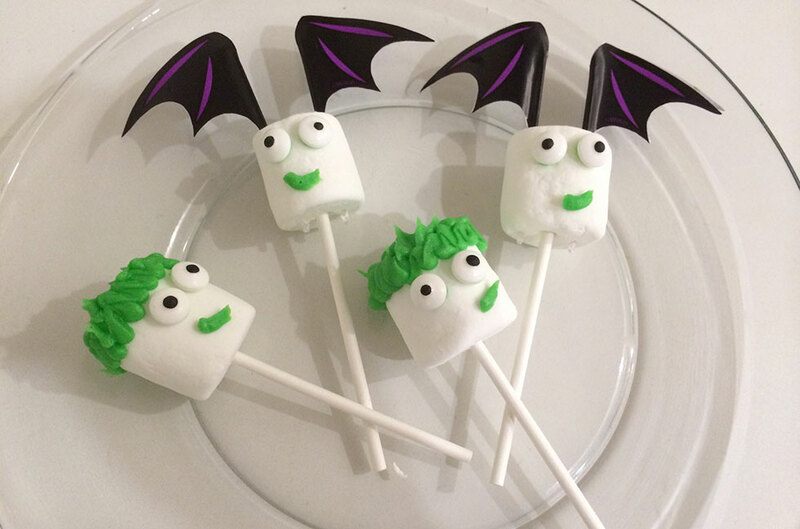 These Mallows-on-a-Stick are cute, fun and great for one-bite treats at your next Halloween party. Put a marshmallow on a stick & decorate to your heart’s desire. Try fun designs like ghosts, bats, Frankensteins or pumpkins. Halloween-themed cupcake toppers can be purchased at your local craft store and make great, fun additions to your decorations. To keep things simple, you can also dip the top half of the marshmallow in frosting or melted chocolate and roll it in Halloween sprinkles. 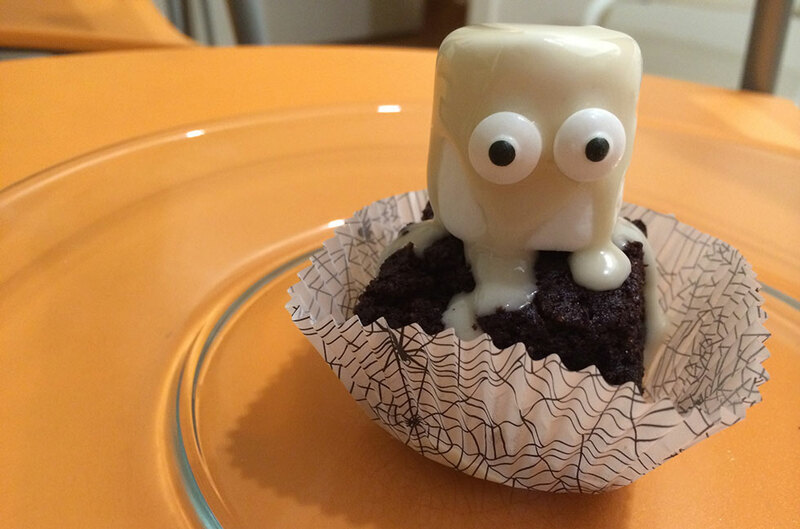 These ghost brownies are too cute to pass up. These simple mallow-topped brownies are sure to have your party guests coming back for more. Prepare the brownies according to the directions on the box. Once cool, cut into 2 x 2 squares. Place each brownie into a cupcake baking cup. For the glaze, add about 1 cup of powdered sugar with 1-2 tablespoons of water. You don’t want it to be so thick that it won’t drip over the marshmallow, but if it’s too runny, the marshmallow will slide right off. Place a drop of glaze on top of the brownie and set one large marshmallow on top. Drip glaze over the top of the marshmallow. Allow the glaze to sit for about 3 minutes, then place two eyeball candies on the marshmallow. Voila! These classic popcorn balls are given a crunchy twist with the addition of honey-roasted peanuts. I promise you they won’t disappoint. Melt the butter and marshmallows in a pan over low-medium heat. Pour the marshmallow mixture into a bowl with the popcorn. Toss in the honey-roasted peanuts and mix with a greased spatula. Once fully combined, set out your baking cups on the counter. Grease your hands with butter lather it on like it’s lotion) and form the popcorn balls. 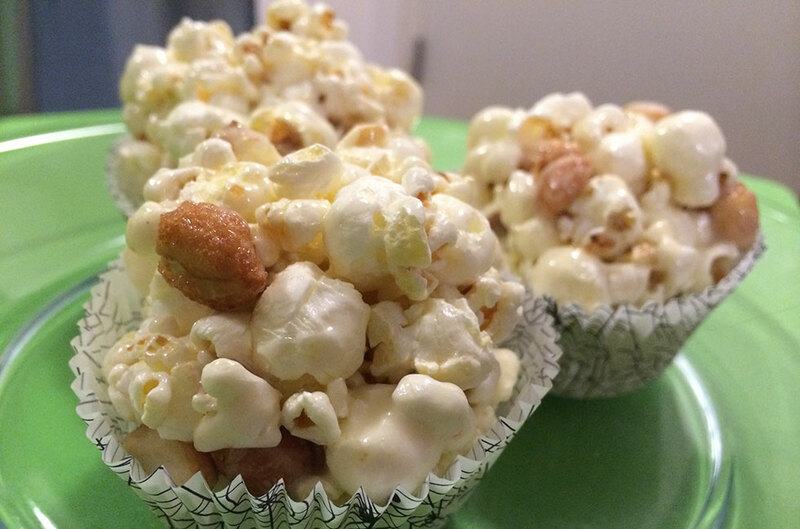 Place each popcorn ball into a cupcake baking cup to avoid a sticky mess when you’re enjoying them later. If desired, add a few Halloween sprinkles on top.